News broke this week that Monsanto accepted a $66 billion takeover bid from Bayer. The new company would control more than 25 per cent of the global supply of commercial seeds and pesticides. Bayer’s crop chemicals business is the world’s second largest after Syngenta, and Monsanto is the leading commercial seeds business. Monsanto held a 26 per cent market share of all seeds sold in 2011. 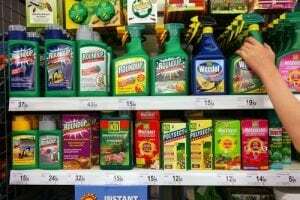 Bayer (mainly a pharmaceuticals company) sells 17 per cent of the world’s total agrochemicals and also has a comparatively small seeds sector. If competition authorities pass the deal, the combined company would be the globe’s largest seller of both seeds and agrochemicals. The deal marks a trend towards consolidation in the industry with Dow and DuPont having agreed to merge and Swiss seed/pesticide giant Syngenta merging with ChemChina, a Chinese government concern. Alarm bells are ringing with the European Commission putting its approval of the Dow-DuPont deal temporarily on hold, and the US Senate Judiciary Committee is about to hold hearings on the deal due to concerns about consolidation in the industry, which has resulted in increased seed and pesticide prices. Consolidation and monopoly in any sector should be of concern to everyone. But the fact that the large agribusiness conglomerates specialise in a globalised, industrial-scale, chemical-intensive model of farming that is adversely affecting what we eat should have us very concerned. Do we want this system to be intensified even further just because their business models depend on it? Farmers are increasingly reliant on patented corporate seeds, whether non-GM hybrid seeds or GM, and the chemical inputs designed to be used with them. Monsanto seed traits are now in 80 per cent of corn and more than 90 per cent of soybeans grown in the US. It comes as little surprise then that people in the US now consume a largely corn-based diet: a less diverse diet than in the past, which is high in calorific value, but low in health-promoting, nutrient dense food. This health-damaging ‘American obesity diet’ and the agricultural practices underpinning is now a global phenomenon. By its very nature, the capitalist economic model that corporate agriculture is attached to demands expansion, market capture and profit growth. And, it must be accepted that it does bring certain benefits to those farmers who have remained in agriculture (if not for the 330 farmers who leave their land every week, according to data from the National Agricultural Statistics Service). But in the US, ‘success’ in agriculture depends on over $51 billion of taxpayer handouts to over a 10-year period to keep the gravy train on track for a particular system of agriculture designed to maintain corporate agribusiness profit margins. And such ‘success’ fails to factor in all of the external social, health and environmental costs that mean this type of model is ultimately unsustainable. It is easy to spin failure as success when the parameters are narrowly defined. Moreover, the exporting of the Green Revolution paradigm throughout the globe has been a boon to transnational seed and agrochemical manufacturers, which have benefited from undermining a healthy, sustainable indigenous agriculture and transforming it into a profitable enterprise for global capital. And not just profitable for global capital – but its company managers too. For example, a few months ago, according to Reuters, Monsanto CEO Hugh Grant could receive more than $70 million if Monsanto were to be taken over by Bayer. At the time, Monsanto said it was open to engaging in further negotiations with Bayer after turning down its $62 billion bid. The report shows how Grant’s exposure to shares and options meant he had an incentive to hold out for the highest possible sale price, which would not only be in the interests of shareholders but also increase the value of his holdings. Other senior figures within Monsanto would also walk away with massive financial gains. These corporate managers belong to a global agribusiness sector whose major companies rank among the Fortune 500 corporations. These companies are high-rollers in a geo-politicised, globalised system of food production whereby huge company profits are directly linked to the worldwide eradication of the small farm – the bedrock of global food production, bad food and poor health, inequitable, rigged trade, environmental devastation, mono-cropping and diminished food and diet diversity, the destruction of rural communities, ecocide, degraded soil, water scarcity and drought, destructive and inappropriate models of development and farmers who live a knife-edge existence and for whom debt has become a fact of life. A handful of powerful and politically connected corporations are determining what is grown, how it is to be grown, what needs to be done to grow it, who grows it and what ends up on the plate. And despite PR platitudes about the GMO/chemical-intensive model just being part of a wider mix of farming practices designed to feed humanity, from India to Africa indigenous models of agriculture are being squeezed out (through false argument and deception) as corporate imperialism puts pay to notions of food sovereignty. We should be highly concerned about a food system increasingly dominated by companies that have a history (see this on Monsanto and this on Bayer) of releasing health-damaging, environmentally polluting products onto the market and engaging in bribery, cover-ups, monopolistic practices and what should be considered as crimes against humanity? Despite the likes of Hugh Grant saying the Monsanto-Bayer merger will be good for farmers and “broader society”, most of all it will be good for shareholders and taxpayer-subsidised, state-assisted company profit. That’s the type of hegemonic rhetoric that’s been used down the ages to disguise the true nature of power and its beneficiaries. It’s not so much the Monsanto-Bayer deal is a move in the wrong direction (which it is), but increasing consolidation is to be expected given the trend in many key sectors toward monopoly capitalism or just plain cartelism, whichever way you choose to look at it. It’s the system of industrialised, capital-intensive agriculture wedded to powerful players whose interests lie in perpetuating and extending their neoliberal economic model that is the real problem. So what is the solution? We could start here.